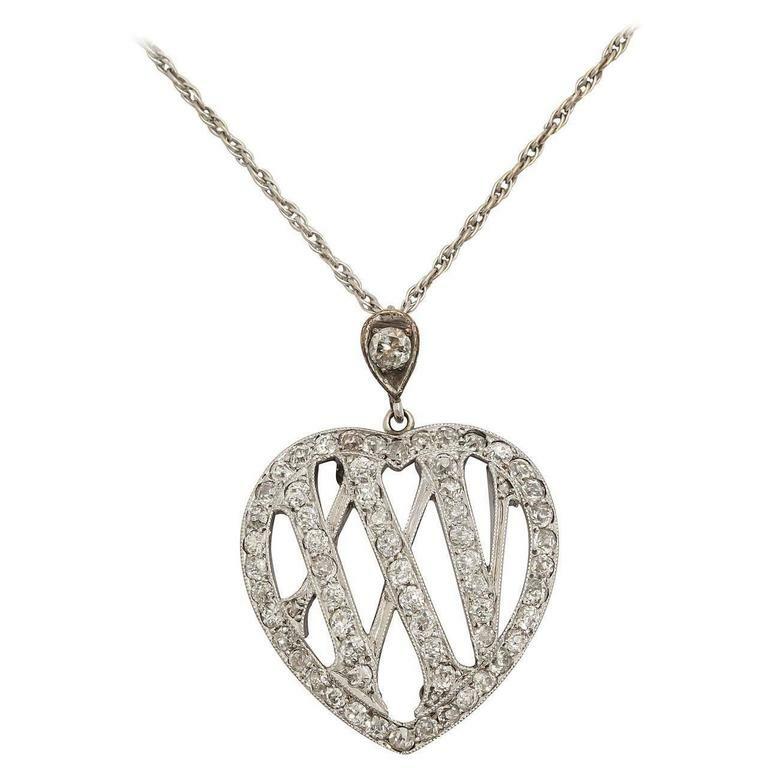 Heart-shaped, the openwork Roman numerals XXV set with antique-cut diamonds, suspended from a diamond set bail, mounted in platinum-topped gold, attached to a white gold chain. 1 3/8 in. (3.5 cm) long; the chain 18 in. (45.7 cm) long.